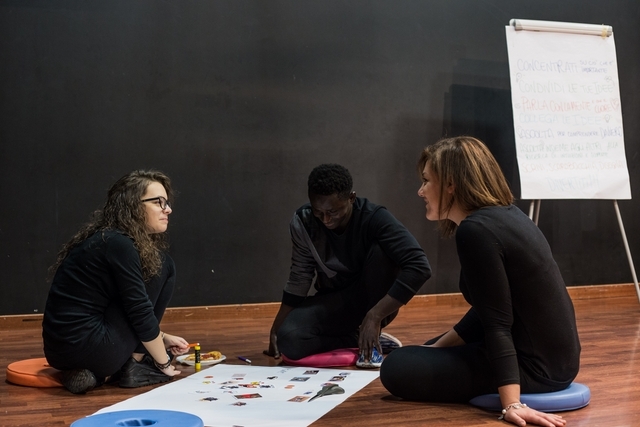 Acting Together #WithRefugees - part 1 aims to foster the social inclusion of refugees and asylum seekers through artistic tools and through the settling of a close cooperation with local institutions, organizations, associations and individuals working in the social, educational and cultural fields. 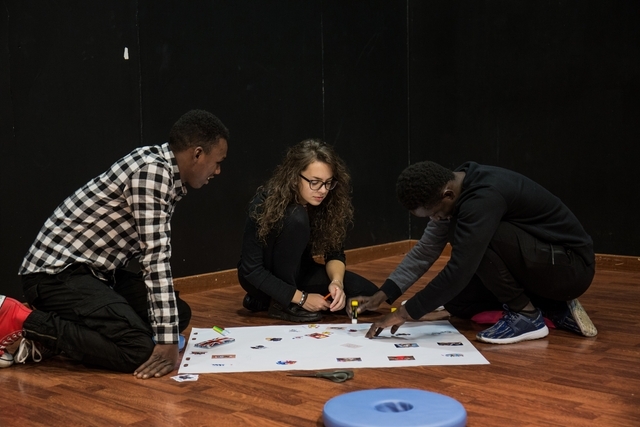 The project was developed from September to December 2017 and was aimed both at young natives and newcomers (especially refugees and asylum seekers), and at cultural, social and educational workers of the local network, working with people with a migration background. 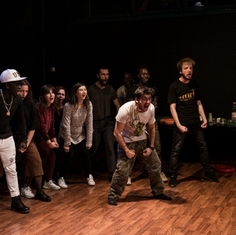 The project included several theatrical actions, trainings, focus groups and learning partnership. 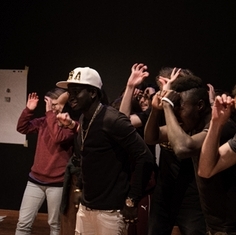 A video documentary and guidelines for artistic work with migrants and refugees form a specific toolkit created as final project output and available on this website. 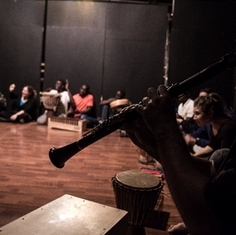 Acting Together #WithRefugees - part 2 is the continuation of the process started in September 2017.
in collaboration with San Lazzaro di Savena Municipality, MusicSpace Italy, Il Girovago - Editions Nuova S1, Christian Fraternity Opera Padre Marella San Lazzaro, Social Cooperative Camelot, Social Cooperative Piazza Grande, Arca di Noè, Arci Solidarietà Bologna. 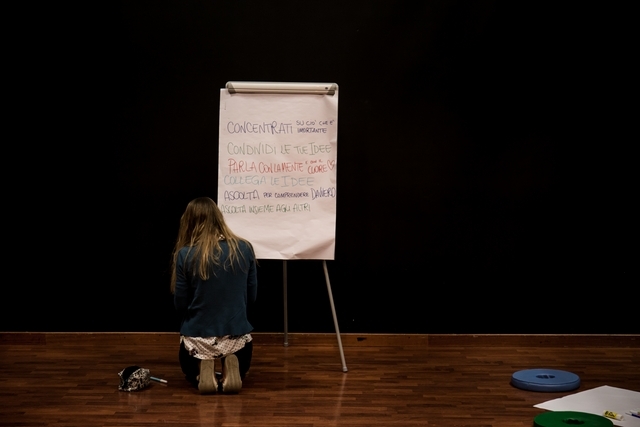 - three events, the multimedia and interactive installation Vuoi giocare con me? (Wanna play with me? 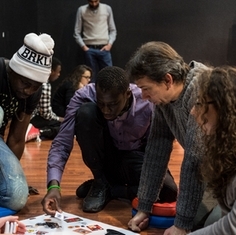 ), the presentation of the European report on the role of arts in the inclusion of migrants and refugees with Emilio Cabasino and Teatro Dell’Argine, the presentation of the graphic novel L’Eredità di Babele, published by Il girovago - Edizione Nuova S1, created in synergy with the intercultural workshop Exoduses. 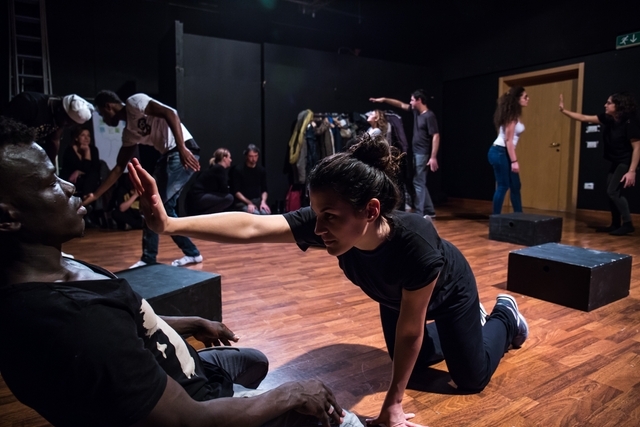 The English translation of the guidelines written during Acting Together #WithRefugees part 1, downloadable here. 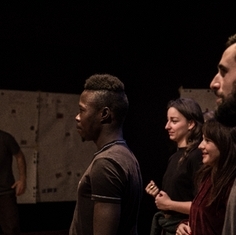 A moment of meeting and exchanging among the participants of Exoduses 2018 and Acting Together #WithRefugees part 1, with the projection of the documentary abot the first part of the project. 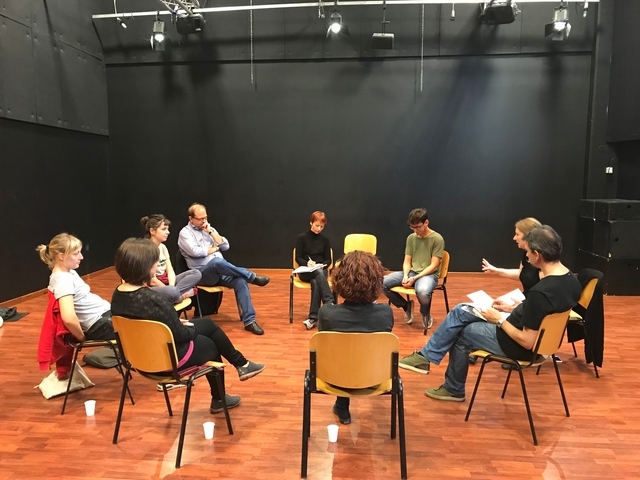 A national networking session on art and intercultural dialogue, which took place in San Lazzaro di Savena on November 15th and 16th 2018. 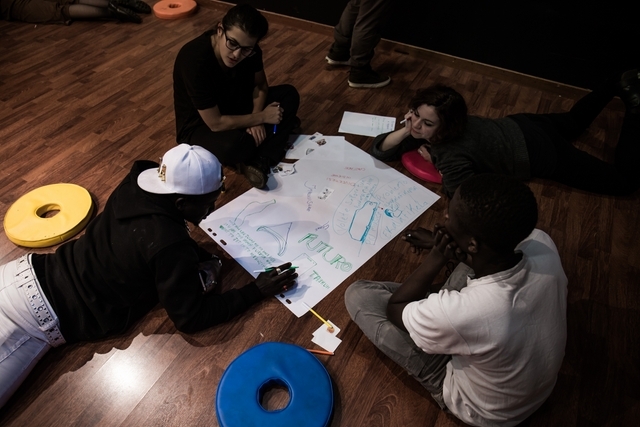 The two-days session has involved organizations that are engaged in cultural and artistic actions and projects involving migrants, refugees and asylum seekers all over Italy, with the aims of knowing each other, set up a network, share ideas, suggestions and practices on this theme. 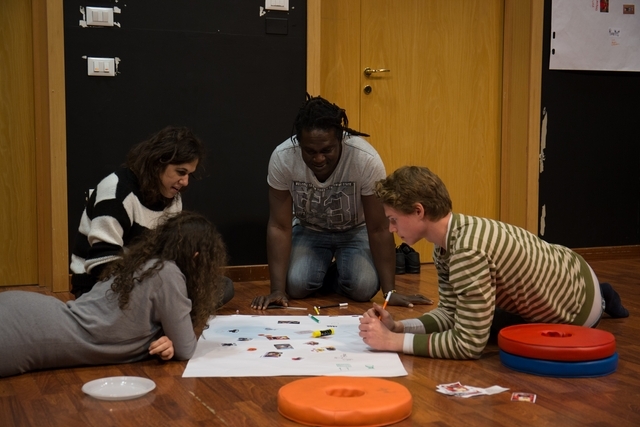 The first opportunity for the local institutions and the social, cultural and educational actors involved, to get to know each other, introduce themselves, tell about the project, share the agenda and identify the group of refugees and asylum seekers taking part to the project. 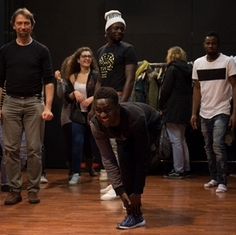 The teachers of Teatro dell’Argine share with trainers, educators, teachers and other actors involved in the reception of refugees and asylum seekers some theatrical methodologies and techniques, which may be useful tools to support and facilitate dialogue, empathy and a better relationship. 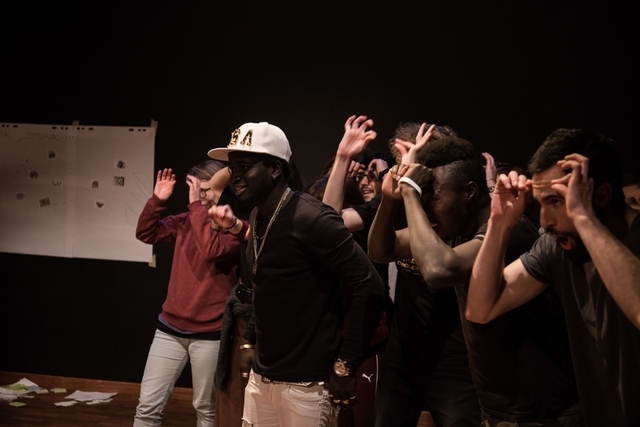 The future project participants, young asylum seekers, refugees and members of the network, together with general theatre audience, watch the performance of the intercultural group of young people of the project Exoduses, by Teatro dell’Argine. 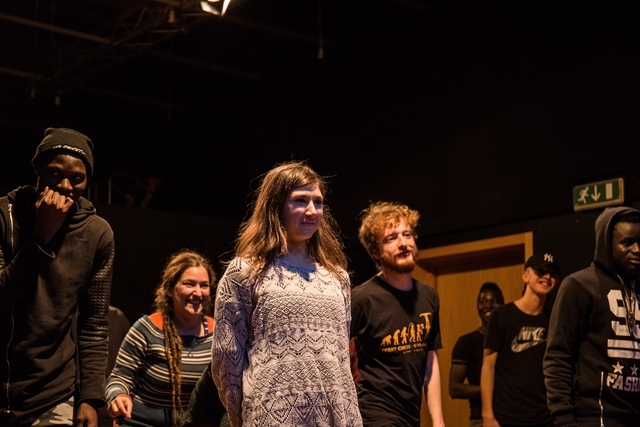 After the show, a meeting between the Exoduses group and the future project participants is the opportunity to welcome the newcomers and tell them about the theatre workshops. 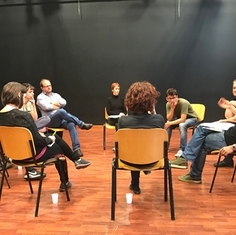 Two meetings following the artistic workshops with Doctor Luana Valletta (psychologist), involving participants (both Italians and non-Italians), teachers and educators. 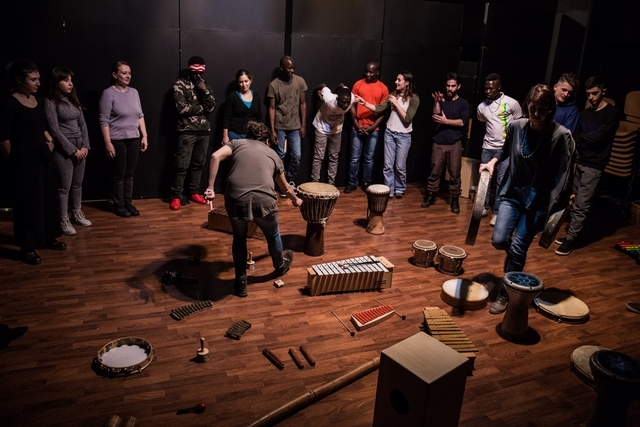 All the project participants, refugees, asylum seekers and natives, are divided into two groups to take part to two workshops of theater and music therapy. Two days of both practical and methodological work and exchange between cultural, educational and social workers, with two main objectives: to create a paper containing good practices to promote an integrated approach to intercultural dialogue and social inclusion of refugees; and to give strength to the network of partners that can help and reinforce the reception system. 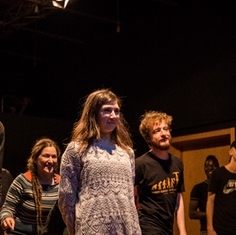 A video documentary about the whole process, and a paper containing guidelines, tools, practices, methodologies of the artistic work with people with a migration background are the final output of the project. 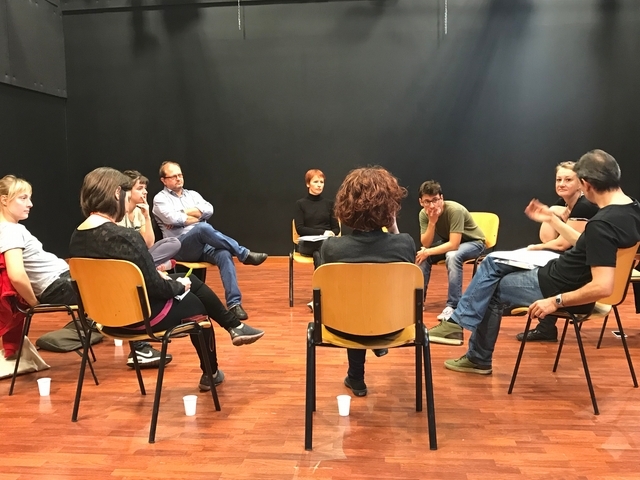 Together, they form a toolkit to be shared on a national and on an international level: the documentary is in Italian with English and Arab subtitles; the guidelines are in Italian and in English. Both tools are available for free download on the internet. 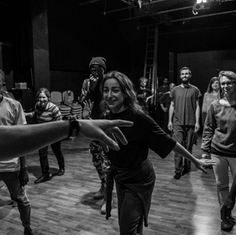 A free theatre workshop, for teenagers and young aged 15 to 25, from all over the world, including Italy. 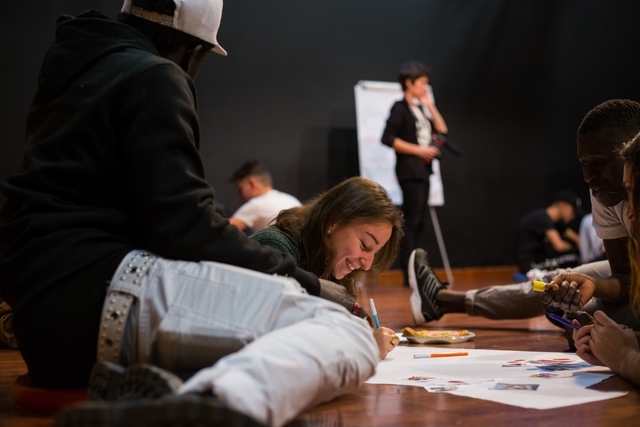 Over 50 boys and girls from 16 different Countries have explored the archetype of the Tower of Babel through the languages of theatre, music and visual art, to create a performance made up of bodies, relationships, looks and exchanges. Beyond the word. 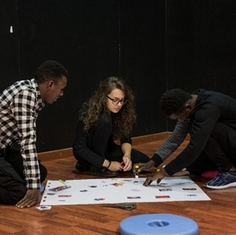 Presentation of the graphic novel published by Il girovago - Edizione Nuova S1, created in synergy with the intercultural workshop Exoduses. 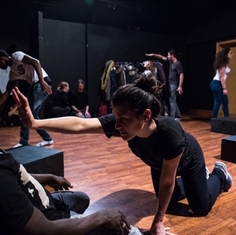 The English translation of the guidelines, written during Acting Together #WithRefugees 1, available here. 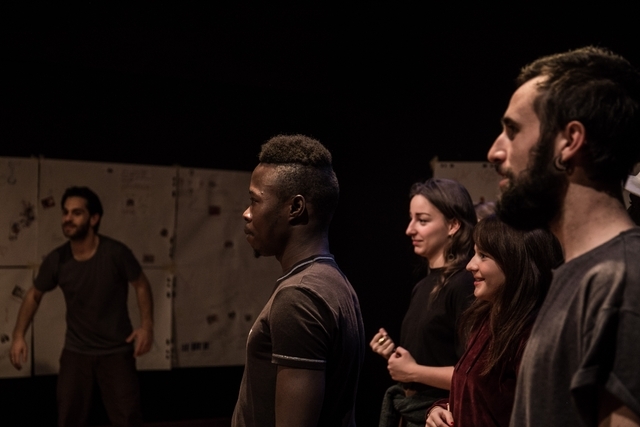 A moment of meeting and exchanging among the participants of Exoduses 2018 and Acting Together #WithRefugees 1, with the projection of the documentary about the first part of the project. 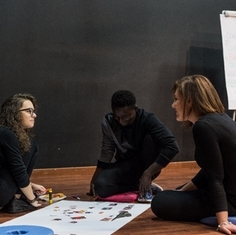 A two-days session to meet, to know each other, to discover and map skills and resources, practices and experiences of those individuals and organizations from the artistic sector in Italy, who work with people with a refugee, asylum seeker and migrant background. A chance to learn from each other, to compare strengths and criticalities, to tighten alliances that can support the single local actions. 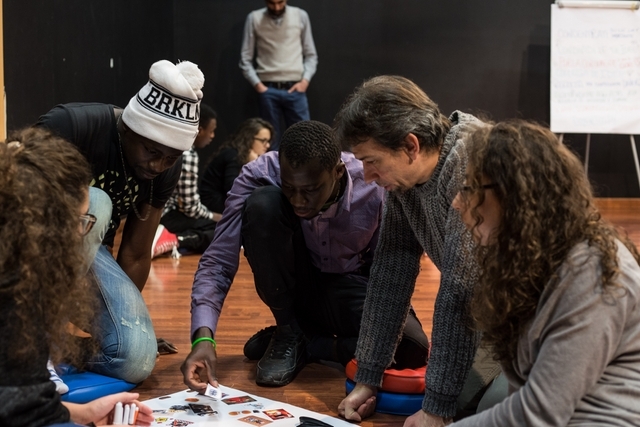 The session will involve organizations that are engaged in cultural and artistic actions and projects involving migrants, refugees and asylum seekers all over Italy, with the aims of knowing each other, set up a network, share ideas, suggestions and practices on this theme. 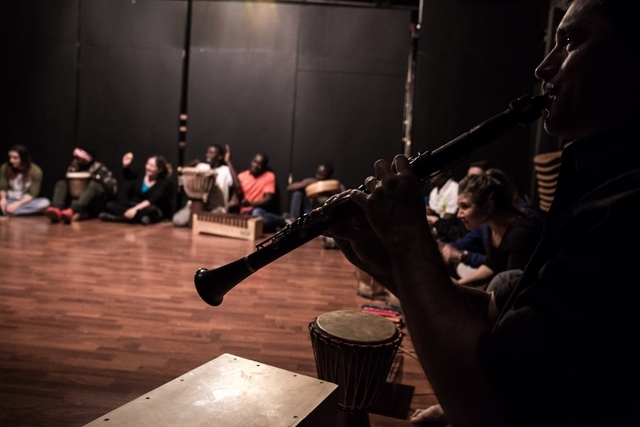 A two-days session to meet, to know each other, to discover and map skills and resources, practices and experiences of those individuals and organizations from the artistic sector, who work with people with a refugee, asylum seeker and migrant background. A chance to learn from one another, to compare strengths and criticalities, to tighten alliances that can support the single local actions. 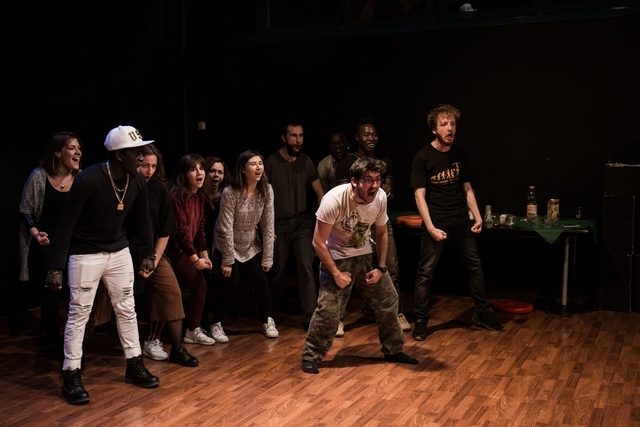 Acting Together #WithRefugees 2 represents the broadening on a national level of some of the actions of the project Acting Together #WithRefugees 1, realized during the theatre season 2017-2018 by Teatro dell’Argine and the United Nations High Commissioner for Refugees (UNHCR). 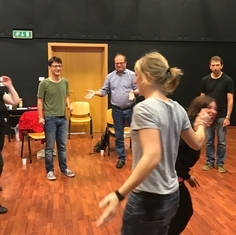 The original project included workshops, exchanges of practices and training for trainers, implemented on Bologna metropolitan area. 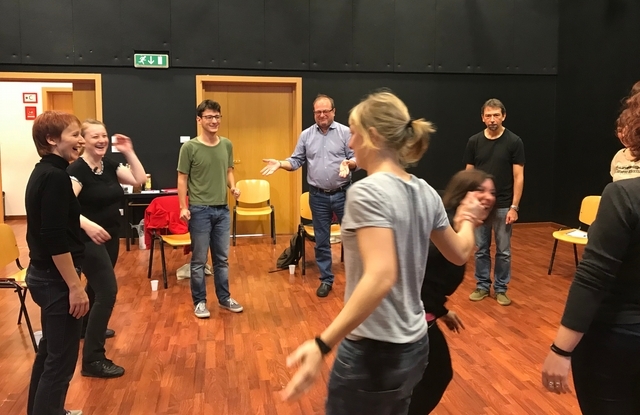 In this case, the programme will include: reporting the results of project phase #1; sharing practices, processes and experiences realized by organizations coming from all over Italy; choosing crucial issues and questions to be elaborated in working groups. 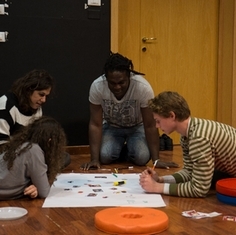 Main aim of this session, besides knowledge, education and training, is exploring the possibility of building a national network of alliances among the participants, in order to implement common activities, share methodologies, patterns, criticalities, problems and solutions, be more effective in the daily engagement in these contexts, and feel less alone. 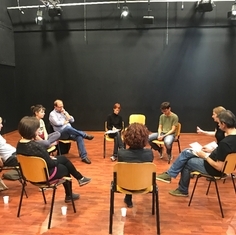 the elaboration of main themes and questions emerged from the preceding phases, that become object of discussion and re-elaboration in working groups. 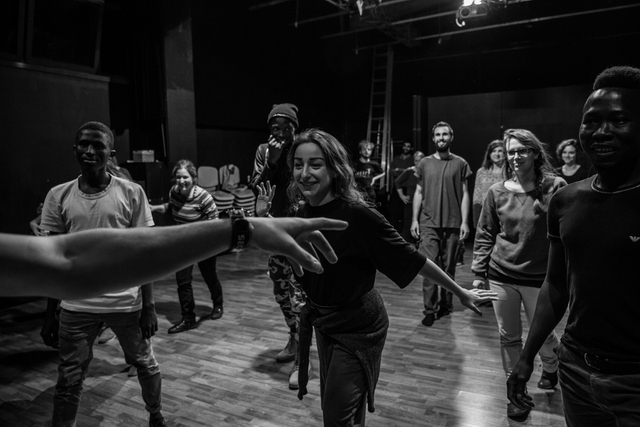 The networking session will host organizations from all over Italy, who are engaged in theatre, art, culture and migration, although they may work in different ways and contexts. 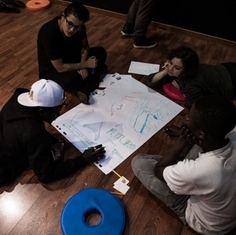 Among the participants: Artestudio (Lazio), Arti e spettacolo (Abruzzo), Associazione Culturale Smascherati! 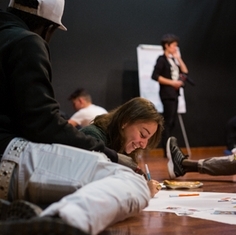 (Umbria), ATGTP (Marche), Associazione Malte (Marche), ATIR (Lombardia), Babel Crew (Sicilia), Centro di Creazione e Cultura (Toscana), C.RE.S.CO, Carovana S.M.I. 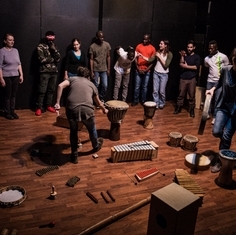 (Sardegna), Suq Festival (Liguria), Cooperativa Camelot (Emilia-Romagna), Factory Compagnia Transadriatica (Puglia), Fondazione Fabbrica Europa per le arti contemporanee e ROOTS & ROUTES International (Toscana), Fondazione Ismu (Lombardia), Gommalacca Teatro (Basilicata), IAC Centro Arti Integrate (Basilicata), Isola Quassud (Sicilia), Istituto Pratiche Teatrali per la Cura della Persona (Piemonte), Kronoteatro (Liguria), Maria Grazia Panigada (Lombardia), Operaestate Festival Veneto - CSC Centro per la scena contemporanea (Veneto), Pandemonium Teatro (Lombardia), PAV (Lazio), Rete Teatrale Aretina - Festival Dello Spettatore (Toscana), Teatrabile (Abruzzo), TeatriInGestazione (Campania), Teatro dei Venti (Emilia-Romagna), Teatro del Mondo e TamTando (Valle d'Aosta), Teatro dell'Orsa (Emilia-Romagna), Teatro Due Mondi (Emilia-Romagna), Teatro Koreja (Puglia), Teatro Metastasio di Prato (Toscana), Teatro Metropopolare (Toscana), Teatro Scientifico-Teatro Laboratorio di Verona (Veneto), Teatro Stabile di Innovazione del FVG (Friuli-Venezia Giulia). 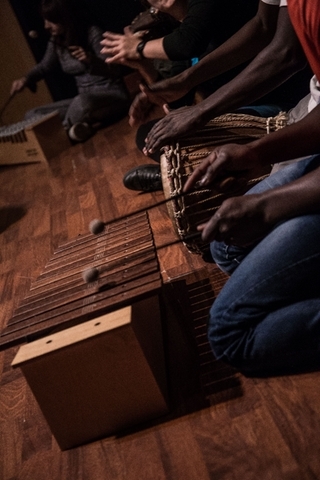 A limited number of seats is available for listeners, following registration. 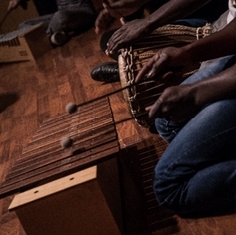 To have a look and download the detailed programme, click here. 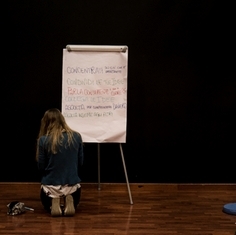 Among the project’s outputs, a toolkit containing a video documentary and guidelines was created. 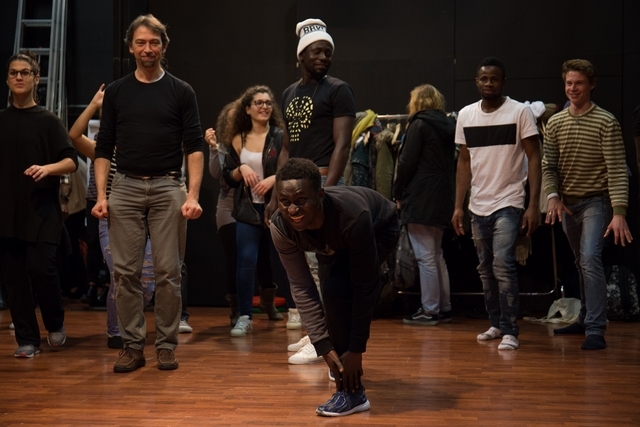 The paper Acting Together #WithRefugees: Guidelines - Tips, models and best practices for cultural and artistic actions with asylum seekers and refugees contains a journal of the project, with details of all the actions carried out from September to December 2017, and collects suggestions, practices, experiences and methodologies, shared by Teatro dell’Argine and by the organizations of the local network. The guidelines are freely available and downloadable here.